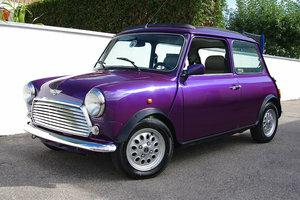 VSL are proud to offer for sale this "one off" 1990 Mini Cooper RSP(Rover Special Production) 1275cc 2dr Hatch. 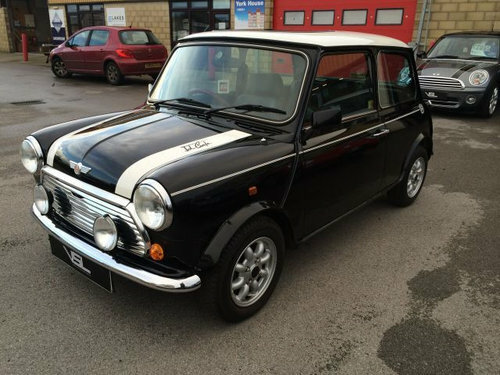 Finished in Black with White Stripes & Roof with Matching Black & Red Interior this absolutely stunning Mini must be seen to appreciate its originality. 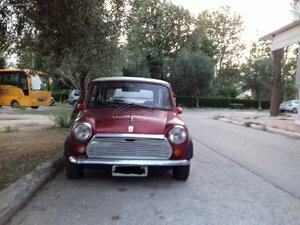 The car has had only two former keepers, one having only owned it for 31days, the latter owning it for 27 years. 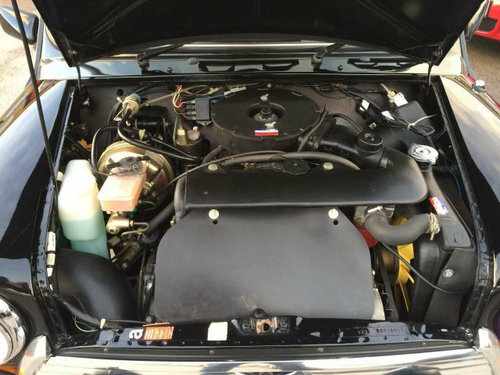 The car has covered only 170 miles from brand new and is in fabulous condition boasting all of its original stickers and documents etc. 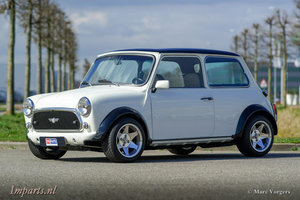 The RSP was the last carburettor Mini before the switch to fuel injection, only 1050 Mini Cooper RSP stayed in the UK. 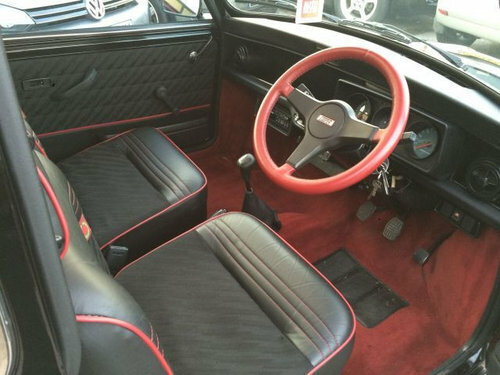 The car is absolutely original as it left the factory and it has half leather tagged interior with red piping, glass tilt sunroof, signed John Cooper white bonnet stripes, 8 spoke alloy wheels, twin spotlights, AP uprated brakes, red carpets and red leather steering wheel. 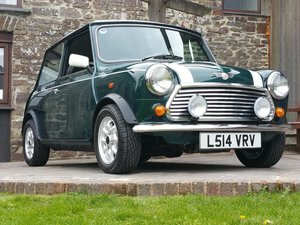 This car has been dry stored on axle stands and has now been commissioned for sale, the car runs great and drives even better, we will of course place a new MOT test on the car prior to delivery. 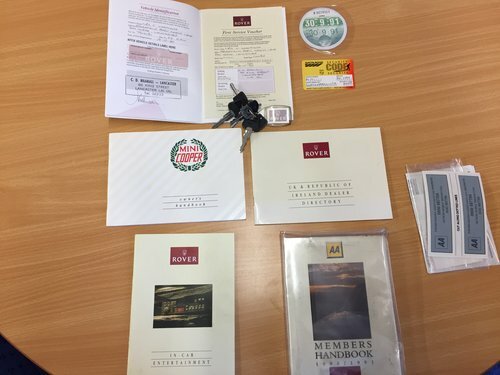 We have the owners manual, 2 x keys and the relevant V5C paperwork along with any service receipts to pass along to the new owner. 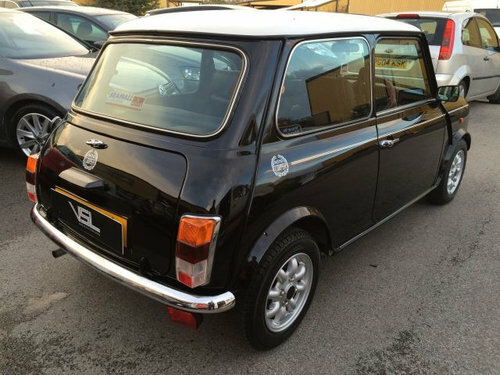 All of our customers have the added peace of mind that all our vehicles are prepared in our own workshop facility, we offer Courtesy Cars free of charge and many other services. 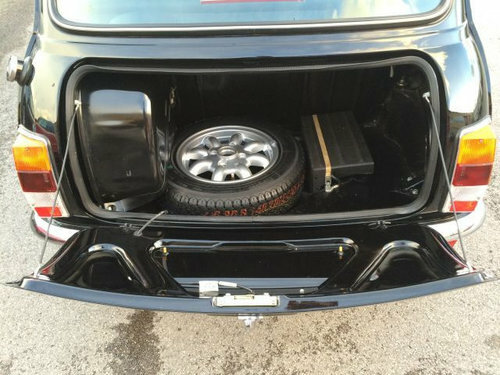 To discuss the car and your specific needs, please call the showroom on 01995 601500 and we will answer any questions or queries you may have. 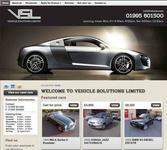 Card Payments Accepted and Finance Arranged.